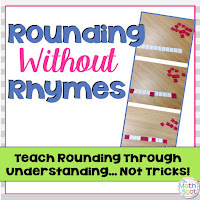 If your grade level has standards around rounding numbers then you have thought long and hard about how to teach rounding to students who are struggling with math. There are two main schools of thought here. 1) Teach the students HOW to round. 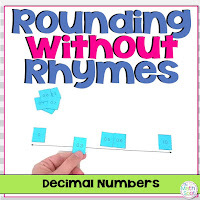 This may include a rhyme, an anchor chart, or another method that teaches a procedure that, when applied correctly, will result in rounded numbers. 2) Conceptually based methods such as a number line. The thing is, rounding is actually a very simple skill. Students who struggle to round numbers most often don't have a misconception about how to round, they lack an internal number line and the number sense that allows them to be able to round. In other words, it's not a rounding issue, it's a number sense issue. 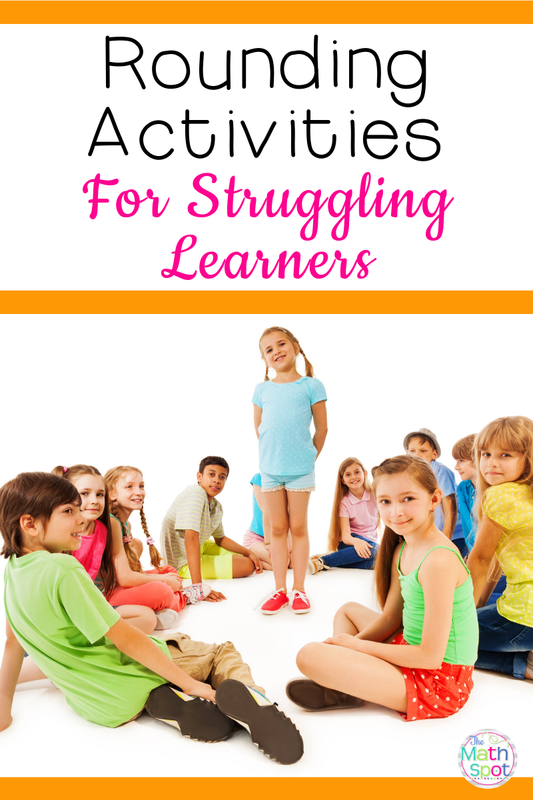 To teach struggling learners to round you want to spend the majority of your time developing number sense and, when you do, your students will pick up the skill of rounding quickly as a related after thought. 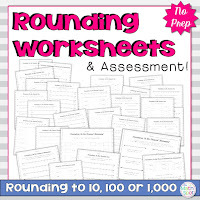 Identifying benchmark "round" numbers when counting by 10, 100, 1,000, tenths or whatever you may be rounding to. Knowing how to count between these benchmark numbers. Play round robin skip counting games like "Buzz". Students stand in a circle and you will identify a start number (ex: 250) and a buzz number (ex: 430). Starting with the start number students will count round robin from the start number to the buzz number. Whoever says the buzz number sits down and the game continues. 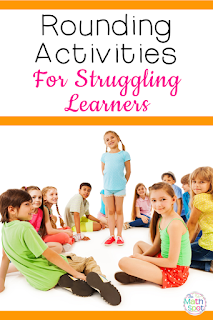 Repeat the same activity as on the post-it notes, however, give students their own white board and ask them to write in the numbers between two benchmarks. They may write all of the numbers at once or you may ask them to plot specific numbers in your chosen order.